Here’s the thing. When you travel for races, which I enjoy doing, one of the most stressful aspects of the process is packing properly. Even though I’ve never gone somewhere that essentials would be impossible to pick up or find on the road, there’s a certain comfort to using things you’ve broken in. As a runner, you develop attachments to race-day essentials that keep you performing at your peak. The problem? Most gym bags are designed to be just what the name implies – simple carriers for gym-day essentials. This is fine, but, they just aren’t meant to handle real travel needs of runners. I was about to face this dilemma head on for my last away-from-home race, the Rock n’Roll Half Marathon in D.C. Luckily, my new Apera Performance Duffle arrived the day we were about to leave. I couldn’t wait to give it a try. What you can’t tell from the picture, is that this bag is designed with performance in mind. It’s filled with pockets to separate dirty and clean clothes and even came with a wet bag to keep everything even more separate. One of my biggest (and most pleasant surprises) came when I finished packing – which ended up being for the weekend, not just for the race: SPACE! 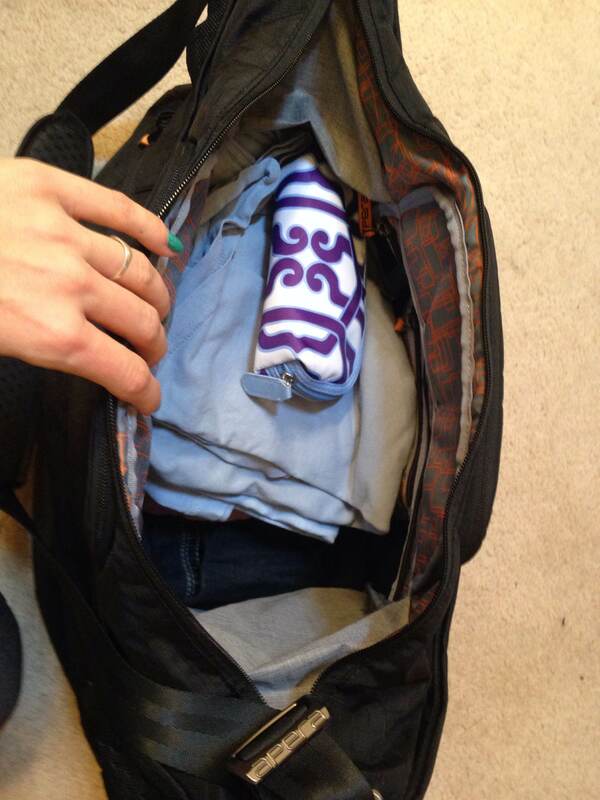 That’s right, just using the center compartment, I could have easily packed double what I needed. I don’t think I’ve ever packed for a weekend without needing help squeezing a suitcase lid or duffle bag opening shut to get the zipper to zip. That, my friends is convenience. One more feature I loved? (I’m limiting it to one because I could keep going for awhile), the side compartments. You’ll see them in this next photo, but, I was able to put a pair of shoes on each side, totally separate from the clothes that I would rather not have smelling like said shoes. 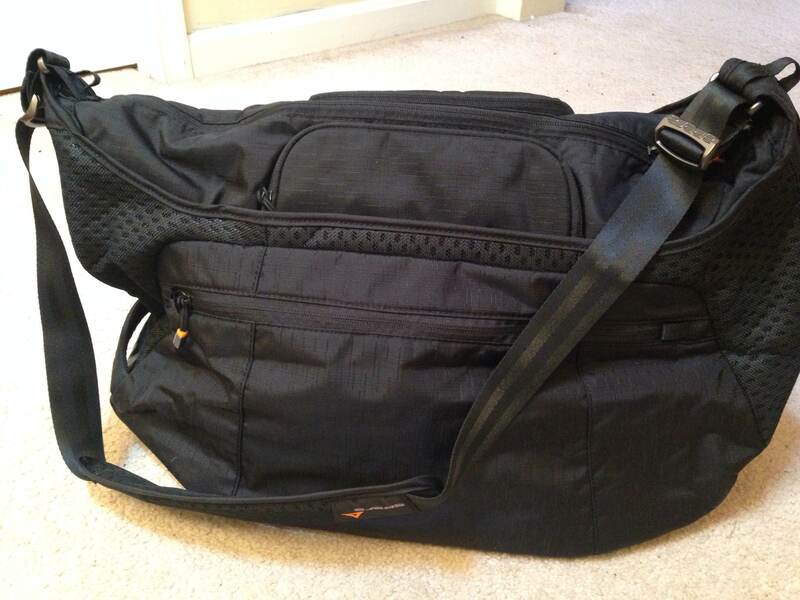 You can learn more about the Performance Duffel here, but I have nothing but positives to share. By creating bags with antimicrobial properties, Apera has upped the playing field as far as athletic travel gear is concerned. I’ve become a believer for sure. Interested in winning your own Apera Bag? Check out this contest…simply send a photo and description of why your current bag stinks and you’ll be put in the running for a brand new one! Or, if you’re interested in a 40% discount, go to the site today: www.Aperabags.com. All BLUE bags (including the Performance Duffel I reviewed above) are currently 40% off! It doesn’t get much better than that. 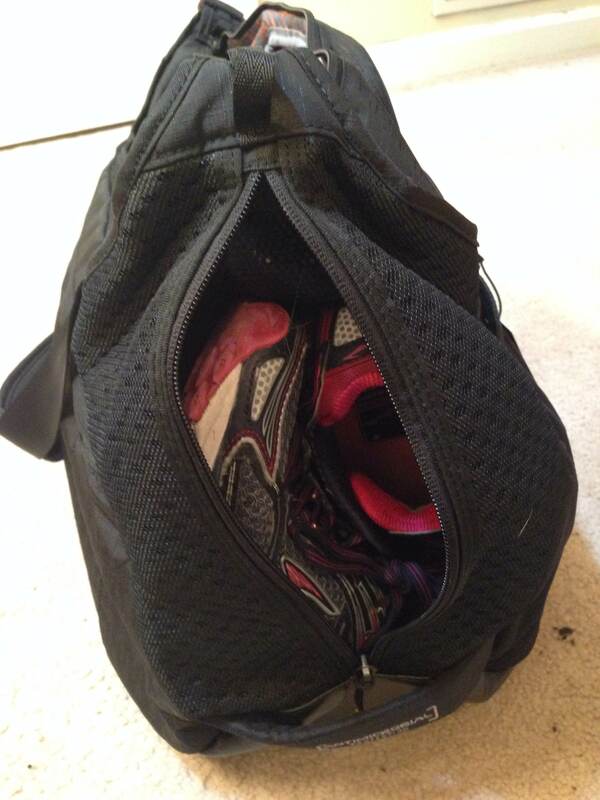 Again, I want to reiterate the stress that this bag has removed from my pre-race packing routine. It has quickly become a necessity that I am grateful to have. If you’re interested in upping your travel routine, start with Apera. Note: As always, I like to make it clear when I was given a product at no charge for review. This is simply for transparency. As a reader, you know that if I don’t stand behind a product, I don’t review it. This is no different! Enjoy!